Solid Black Acrylic with Silver Metal Presentation Plate. Overall dimensions, 3 x 7 x 1”. Include your print ready logo for no additional fee. 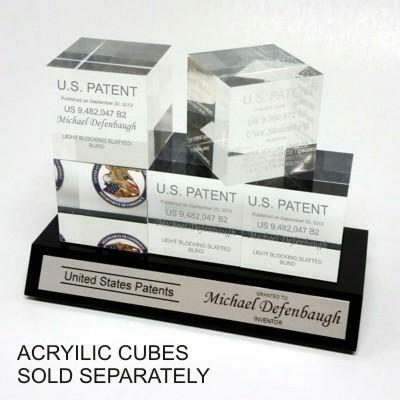 Acrylic Cubes sold separately.